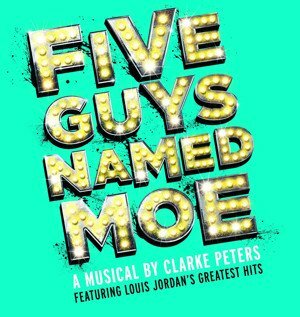 Underbelly Productions have just confirmed that a brand new 25th anniversary production of Clarke Peters' Olivier Award-winning and Tony-Award nominated musical, Five Guys Named Moe, will open in September 2017 in a new pop-up Spiegeltent theatre at London's Marble Arch. The production features the hits of jazz legend Louis Jordan and will have an initial booking period from 28th August to 25th November 2017, with an opening night on 14th September. First seen at the Theatre Royal Stratford East in 1990, it transferred to the West End and played for four years, subsequently playing on Broadway from 1992. The musical features hits of trailblazing 'King of the Jukebox' Louis Jordan, including Early In The Morning, Is You Is or Is You Ain't My Baby, Choo Choo Ch'Boogie and Saturday Night Fish Fry. The soundtrack of soul, blues, gospel and early r 'n' b is performed on stage by a live band. The Marble Arch Theatre is being designed specifically for the production and will transport the audience back to jazz bars of 1940s New Orleans. A unique, circular auditorium will ensure that the action take place all around the theatre with pre and post-performance drinks served in the theatre's authentic 1940s foyer cocktail bar. The Good Person of Sechuan), lighting design by Philip Gladwell (The James Plays, Cymbeline, Trainspotting, After Miss Julie, Hairspray) and sound design by Ben Harrison (Cabaret, Dreamboats and Petticoats, Dancing in the Streets, The King & I, Starlight Express, Blood Brothers, Soul Sister).